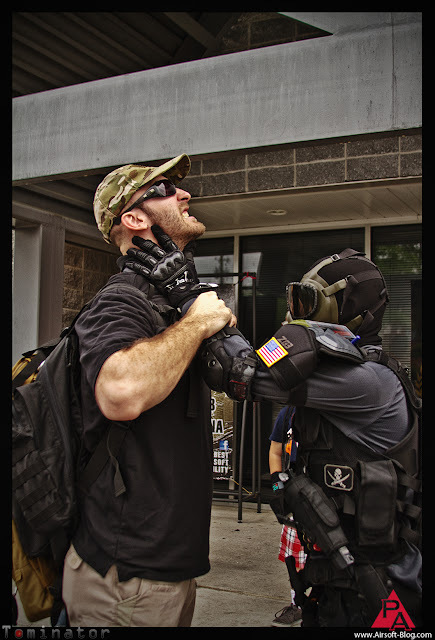 Question: What happened between you & CrazyNCman out in Georgia last month at the SS Airsoft 2-Year Anniversary? "How do I clean my clean my tactical gear (e.g. load-bearing vest, pouches, boots, etc) after a long weekend of sweating like a beast in all of it without running it through the washer?" In case you needed to see a few more photos of the KWA 1911A1 US Army GBB Pistol before you make your decision on whether you need to add it to your airsoft arsenal, here are a couple more shots for your eyes to feast upon in a visual array of splendor. Having personally handled this periodic piece with my own powerful hands (alliteration ftw), I can honestly tell you that if you like KWA gas pistols and you like classic 1911s, then you will most certainly be pleased with this new model. 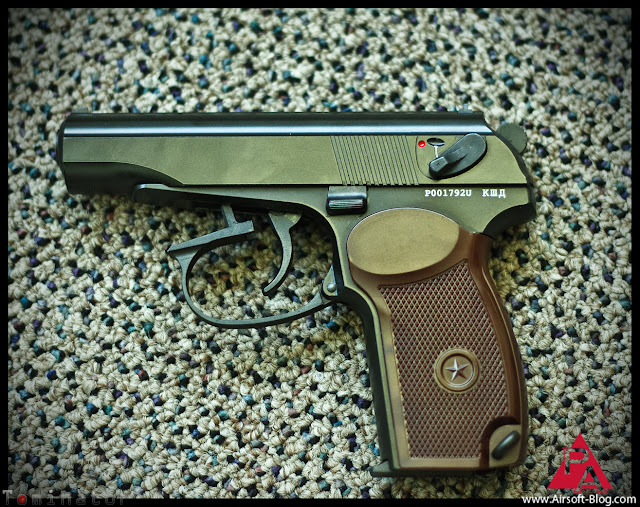 If you don't like KWA guns or classic, WWII style Airsoft 1911s, then this obviously isn't the gun for you. Here are my thoughts on what to expect from the blowback, or recoil effect, of the KWA KRISS Vector Airsoft SMG. Brian Holt is a nice guy. Not just because he took the time to bring the Echo1 RedStar PKM Airsoft machine gun over to my house to do an on-camera interview with me, but because he's actually just a nice guy. Thought I'd point that out for those of you that were curious. Anyway, here's the interview he & I did, wherein we discussed the very exciting release of the Echo1 RedStar PKM Airsoft machine gun. It should be out in the summertime, 2012. Since this IS a prototype, bear in mind that the design & features are subject to change without notice or care about what you think. So don't get too attached to it just yet. Easier said than done, I know. But do try. 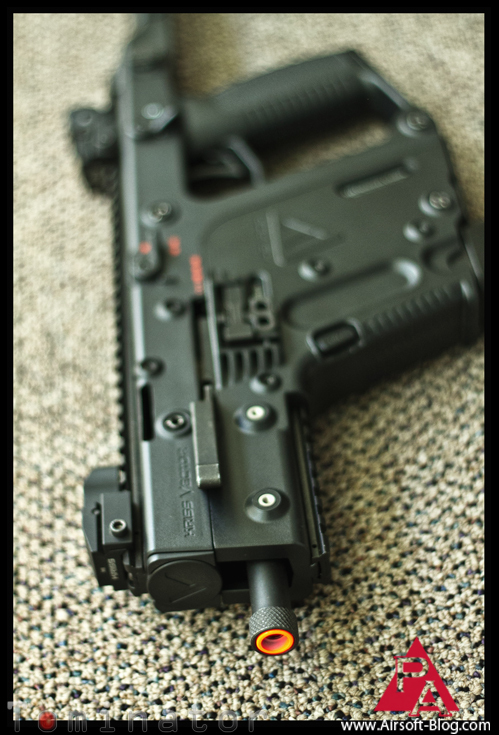 KWA Magpul LM4 GBB & Electric Recoil Guns - More options!!! The SPR length, for the designated marksmen out there. I forgot to ask whether the gas blowback models will also come in these lengths or if it will simply come in the standard 14.5" barrel length. Oh well. Now I have a reason to go back! Haha. Check out the video wherein I interview Mike from KWA about the new guns. In this video, I talk to Mike Hou about the new KWA gas blowback pistols which include the KWA 1911A1 US Army edition, KWA MKV (Makarov), KWA TT-33 (Tokarev) & even gave another little shout-out to the KWA HK45 because I'm so attracted to it. I also sank to a new low and sniffed a gun on camera. Granted, it WAS the KWA KRISS Vector, but still. I need to lock it up and keep it professional. It's so hard to do though when you've got that Vector in your hands, because you just lose all your inhibitions. I don't know what else I can do. Sometimes you gotta be real and say you're sorry (while holding the KWA KRISS Vector) when you have done terrible things to other people. Thanks to Travis Haley, this is one of those times. 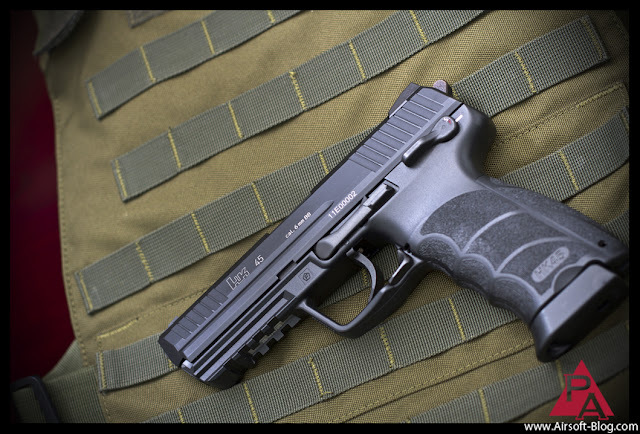 One of the many guns that I discussed with Mike from KWA while I was at his office out in the City of Industry last week was the KWA HK45 Gas Blowback Pistol. This lovely, USP-based beauty is set to release coming up in the next two months or so, which is very exciting for me, to say the least, since I've really had a pretty serious man crush on this particular pistol for quite some time now. Check the vid! 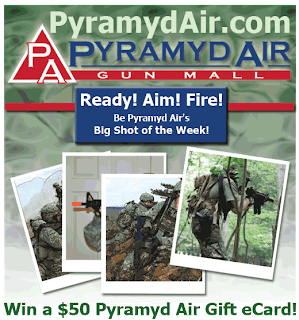 Want to win $50? See below. Here's a super quick review of the upcoming KWA M4 CQR series AEGs, which have the same great quality of the regular KWA AEGs, but feature a polymer lower receiver. 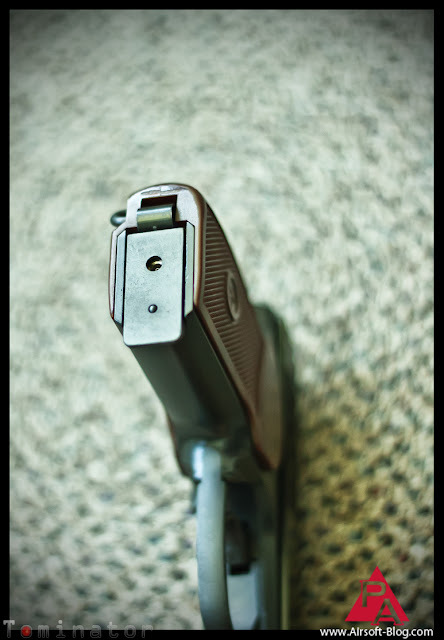 This helps to not only cut down on the weight of the gun a bit, but especially helps to cut down on the price of the gun. The KWA KRISS Vector also makes a little appearance because I said so. Check out the video to get the full scoop. Last week, I invited myself out to the KWA USA headquarters to see the KWA KRISS Vector, along with a bunch of other new KWA releases set for 2012. Mike, from KWA, was patient enough to let me interrupt his day and force him to do a bunch of video interviews with me regarding their new products. Here is the one (see below) Mike & I did for the KWA KRISS Vector, set for release this summer (2012). Check out our Big Shot of the Week contest on Facebook! It's easy money, baby!